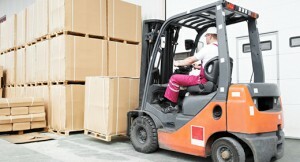 Providing forklift training for over 14 years to enterprises of all sizes throughout Ireland. Our client list includes some of Ireland's best known companies, state and semi-state organisations. We have one of Ireland's largest RTITB accredited state of the art training centres. All our staff are FAS approved trainers and have many years in the logistics industry with over 60 years experience between them.